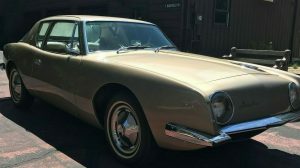 “They’re still out there.” That’s a phrase we’ve seen on these pages before, where we remind ourselves and all of you that there’s seemingly still a good supply of classic cars hiding, waiting to be discovered. 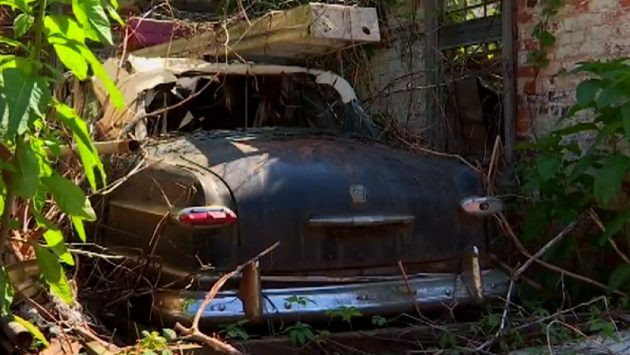 This 1949 1951 Ford convertible was recently exposed in Richmond, Virgina, where a storm helped collapse a weathered garage door in an alley. Find the story here on WRIC.com. The story is a familiar one: a longtime resident of the home in front of the back-alley garage passes away, apparently with no heirs. The home becomes abandoned and the garage out back continues to become overgrown. Per usual, a garage that’s been closed for years remains largely ignored, especially in a small town. A sudden storm brings enough drenching rain that the old wooden door collapses, exposing the Ford within. No one knows much about the car, considering neighbors didn’t even know it was inside the brick structure. 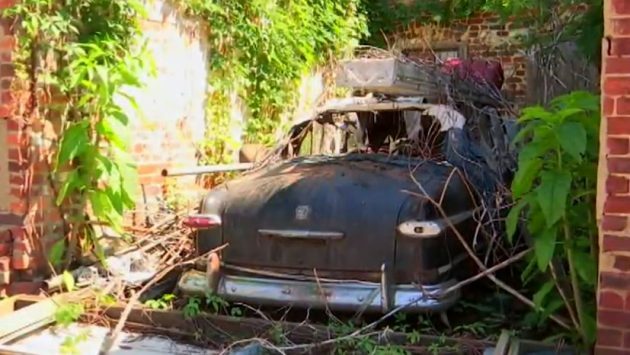 I interpret that as meaning the elderly owner didn’t spend much time around the car in his later years, and given the amount of growth around it, I would guess it sat for ten years – if not more – in this tumble-down structure. As far as value? 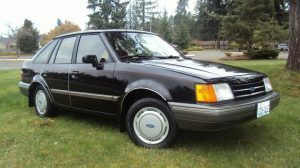 It likely comes down to options, as I see restored “Custom” trims listed in the $40K range and lesser models in the 20s. 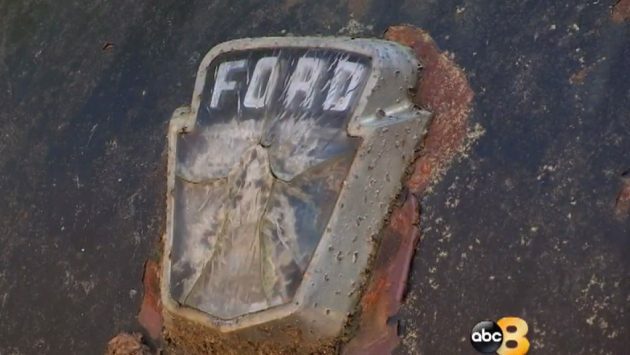 What more can our readers tell us about the long hidden Ford convertible? And what will happen to it if there are no heirs for the deceased owner? Mainly, I hope treasure seekers don’t star ripping parts off of the car. It appeared in a thread on Reddit and has likely gotten significant exposure by now. Fortunately, Richmond isn’t the easiest place to get to if you don’t already live there, so hopefully it’s just the locals that will be doing the gawking. Somebody went to all the trouble to put 51 tail lights on it. Easy to ID shoebox Fords and this is a 51. Someone should do the research before putting the wrong year on the subject line of an online site. Absolutely a 51 Ford with the chrome spears on the side of the taillights, the taillights themselves, and trunk badging. A look at the dash and we’d know for certain. Maybe you should have volunteered to be a writer for Barn Finds instead of a critic then….its easy to be negative, but people do make mistakes, Give the author a break! Trunk hinges were hidden in 51, exposed but different in 49 and 50. I can’t explain it but there is something in me that kicks in every time I see an old car in need of restoration!! I have managed to get a handle on it repeating to myself “you can’t save the world” But this one made me relapse!!!! Wow how cool. Decades ago I lived in a neighborhood of old houses. 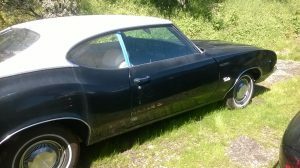 I found a one owner 1967 AH 3000 in a garage 10 houses from me. A short distance in the other direction was a 356 Porsche in a leaning garage. I ask the occupant if it was for sale. She said no, her son was going to restore it. The restoration soon became more difficult when the garage collapsed on it. That one is bound to be a lot of work to fix up. But it’s all in the journey. There was a guy out west, who entombed his dad’s car back in the 50s. There was a dispute over who would get it in the estate so he concreted in the door and windows of the garage out on the farm. The guy was somewhat mentally unstable so his siblings decided to wait until the tension eased. The guy, a major hoarder, eventually ended up in a secure nursing home and his family decided to get inside the garage to have a look. 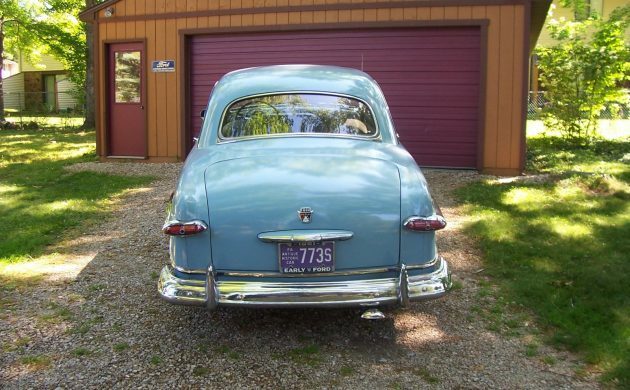 For years there was a lot of speculation: ’49 Mercury, ’49 Lincoln, seemed to be the most common ideas. They broke through the concrete and found the car, a ’56 Lincoln, with less than 20K miles on it. 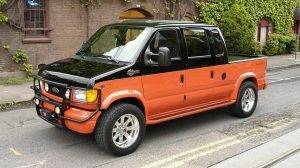 The father had bought the car new but passed away when the car was only a year old. 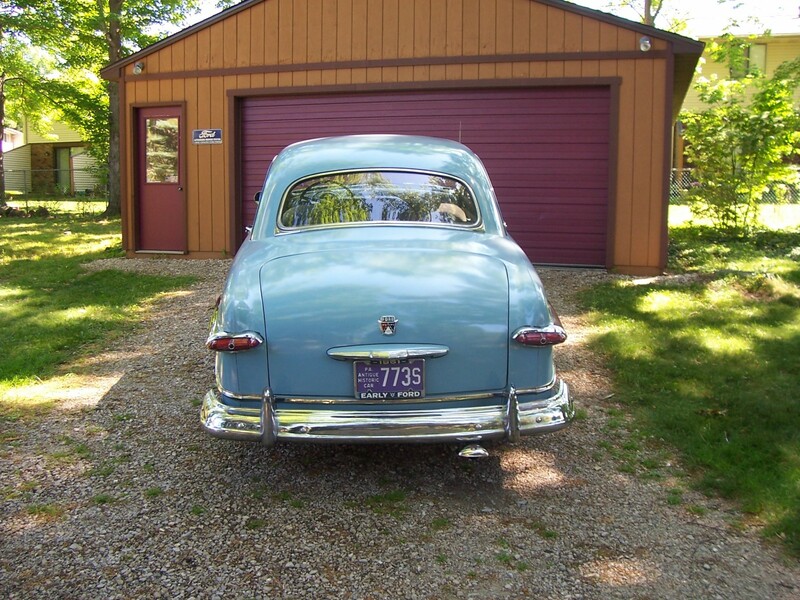 The son had sealed the car off, some say, near the end of ’57. And that’s where it sat for nearly 50 years. I have to say that I was a little disappointed in that I wanted to be there when they brought the door down but they did it quickly one night, with no fanfare. I have no idea what happened to the car but I was told that it fared out a lot better than Miss Belvedere…. Richmond is right on 1-95, so it’s a pretty easy place to get to. It’s the capital of Virginia, not some tiny town in the middle of nowhere. The taillights are 51. I had a 51 Ford convertible I believe in 66 and 67. I bought from a high school friend for I think $300. Beautiful burgundy paint with a nice white top that worked perfectly, leather?? interior , flathead with a Fordamatic trans. On my way to pick up a buddy a guy didn’t yield and nailed me. A hood, left front fender and a new bumper and it would have been fixed. Sold it for a $100. One of many mistakes over the years regarding cars!! Richmond is hardly small town and extremely easy to get to. If I run down I64 it takes me right downtown, 95 on the North/South route. Looks to be a 51 ,Not only the tailights ,but a 49 has exposed trunk hinges . 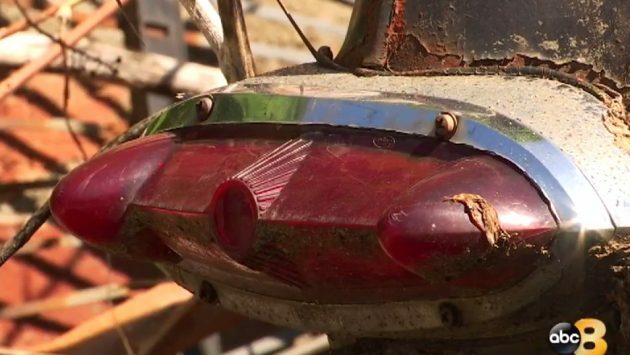 Every once and awhile a Barn Finds story depresses me. For some reason this one did. Life is fleeting, we all know that but sometimes it just hits me. The owner at some point was young (as we all were) and probably vibrant. He aged, died and his story ended. This car was once a shiny brand new automobile and I’m betting it was someone’s baby. I guess the bright note is that at least the car can probably be brought back to not only life but to it’s former glory.